Home / Email Marketing / How to Find a Good List Provider? As businesses grow, the contacts that they amass along the way become an asset. A business should always invest in a good contact list. These lists help business maintain constant communication with their intended customers, and keep all the key players inside the loop. The proper development of mailing list poses fantastic opportunities for new ventures and higher revenue. Email marketing has been a sustainable marketing strategy for the past decade. Considering its reach and speed, it has remained a favorite with marketers. Many of the list providers available in the market have made list procurement easy. One can easily acquire information on the size and price of lists available. A normal self-service –based model requires one to create a user ID with a web based provider. This web service has to be fine-tuned to show specific criteria that applies to the business. This method is suited for companies that need access to these lists often and have their variables decided. Full-service providers are preferred by businesses that have never used up these lists before or businesses that order these services infrequently. These accounts can be requested for free. The information may be inefficient, but these service providers create suggestions to help buyers narrow down their lists. One needs to establish a few things before you seek out a mailing list provider. First, breakdown what exactly you are searching for. Marketers usually overlook this, and it costs business a pretty penny in the long run. Secondly, you should specify the demographics down to the behavioral patterns of your customers. This enables policies that are tailor made. 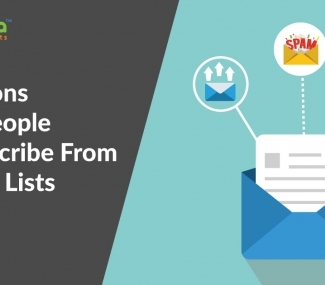 There many types of mailing list, let’s look at the most common types. This lists comprises of people who have ever responded to something. Its like a subscribers list to any kind of activity. Companies are able to control their niche market by foreseeing trends that arise. Companies use multiple lists in order to create a wider reach. A few list companies, have made a business of offering customers credit for their details. These details are collected to form lists that businesses use to reach out to new clients. Though the details entered by random individuals might not be legit, these new addition has cemented mail marketing as a staple. Phone directories such as the white and yellow pages are a good example of complied lists. These can be categorised under demographic lists that are published and readily available. This way companies get to prove they are reputable and still get a large audience. Find yourself a broker who will help you guide your way through the abc’s of mailing lists and they work on a commission basis. After you decide on the mailing list that tickles your fancy, you get data cads that offer summaries on the variables information on the list. Most data cards offer information on when it comes the total of grouping. You can however choose to break it down further so as to get specific. a) Ease of access- Look for a company that enforces a friendly interface to make it easier and faster to use. b) Brand feel- is the company able to match your brand needs when it comes to customization? Look for a company that aligns with your brand. c) Versatility- Choose a company that has the experience to handle different mailing list categories and selects, this will benefit you when you are looking for different lists. d) IP address- Due to factors like readability and deliverability, you should be able to enquire from the service provider if they offer a specific IP address. Are they able to provide you with services that won’t take your business mails to spam? e) Synchronicity- If you already have an existing customer base and you would like to add it to your new mailing list, the company should be able to synchronize the data easily. Thus the business can rely on both the old and the new contact list. f) Up-to-date features- A reputable company should be able to incorporate state of the art features that enable simple things like image identification and automatic display. Some companies only provide text tools without proper imaging tools. With this information one should be able to identify Frescodata as a one stop shop for all their requirements. Frescodata’s Email Marketing services have been considered as a benchmark since they follow strict quality guidelines from market identification to reporting. 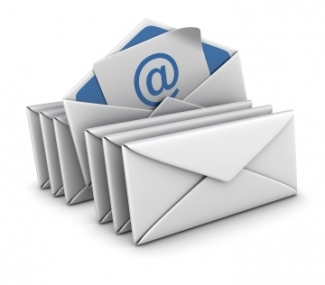 Businesses have been able to benefit from the abundance that Frescodata’s mailing list services bring.